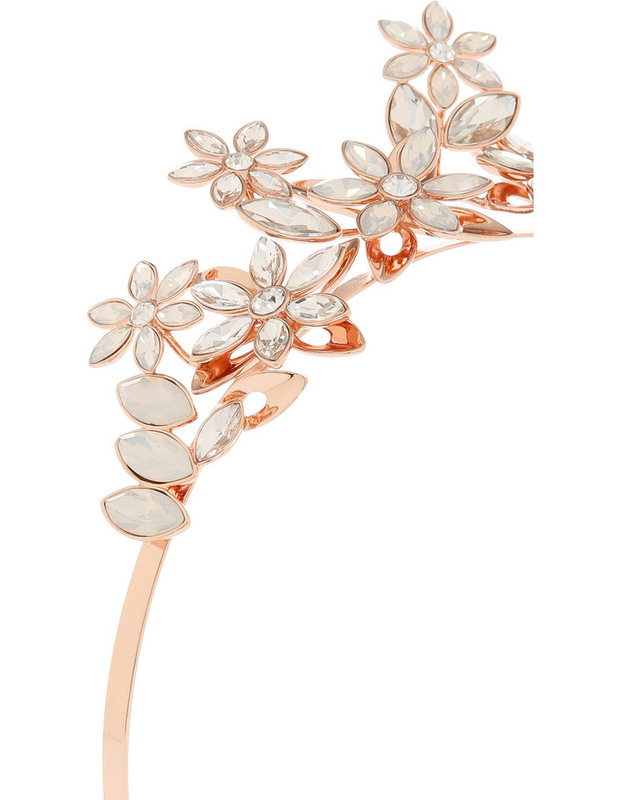 Australian designer peter lang inspires us signature crystal aesthetic with his bloom collection just in time for spring weddings and race season. 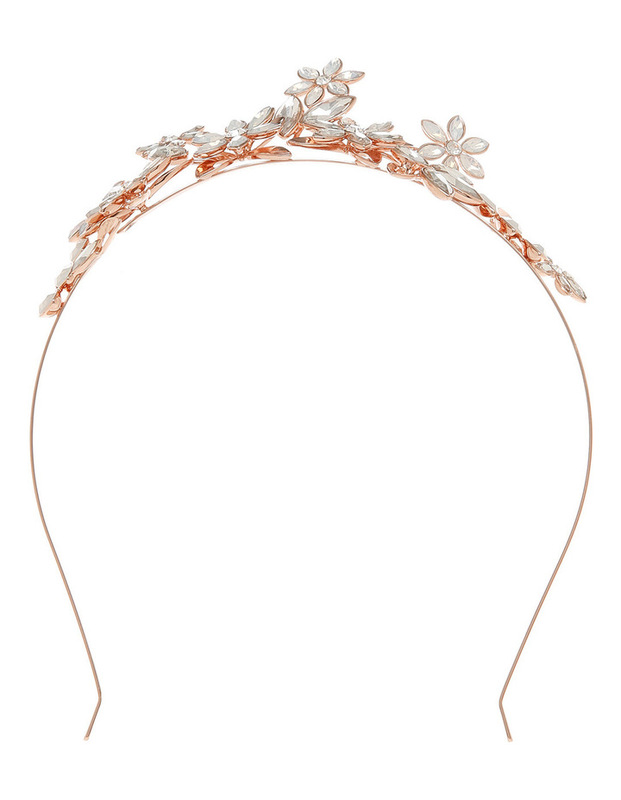 The janna crown headband is a floral-vine like arrangement with rose gold setting. 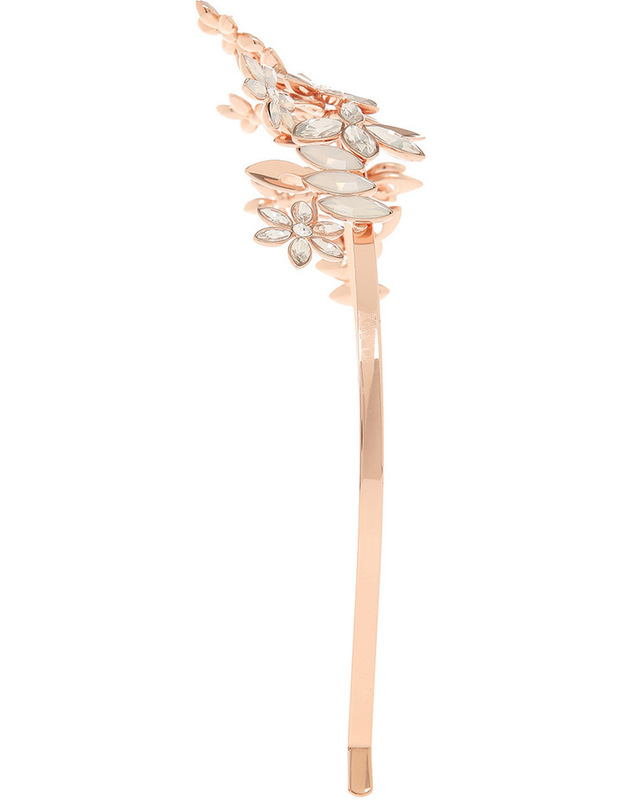 Finished with a artistic union of clear and white opal crystal and rose water crystal accents. Adjustable headband with white satin tie-fastening. Nickle free. To clean, only use a dry cotton cloth and wipe gently. Dimensions: approx. 11 cm at widest point and approx. 9.5 cm in length 38cm in fabric tie fastening.